One of the most difficult aspects of eating a low carb or ketogenic diet can be dining out. If you forget your keto-friendly lunch at home one day or find yourself starving without time to cook, it can feel impossible to find a restaurant option that won’t undo all your hard work or stall your weight loss. Eating healthy doesn’t mean you are doomed to staying home while everyone enjoys a night out. Being in social situations and dieting can be challenging, but it can be done! 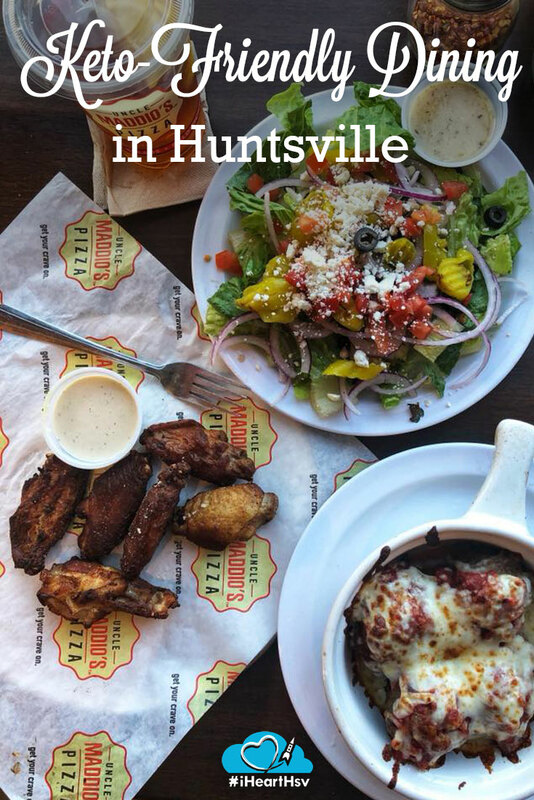 Here is a look at some healthy low carb choices that you can make while dining out in Huntsville. Breakfast is always a great option for a low carb diet. Order it here 24/7. I was super interested in The Greek omelette which was filled with Gyro meat and Feta, but if that’s not your thing, they have 16 more omelette’s to choose from. The Royal Rose definitely shows that eating eggs doesn’t have to be a total snooze fest. 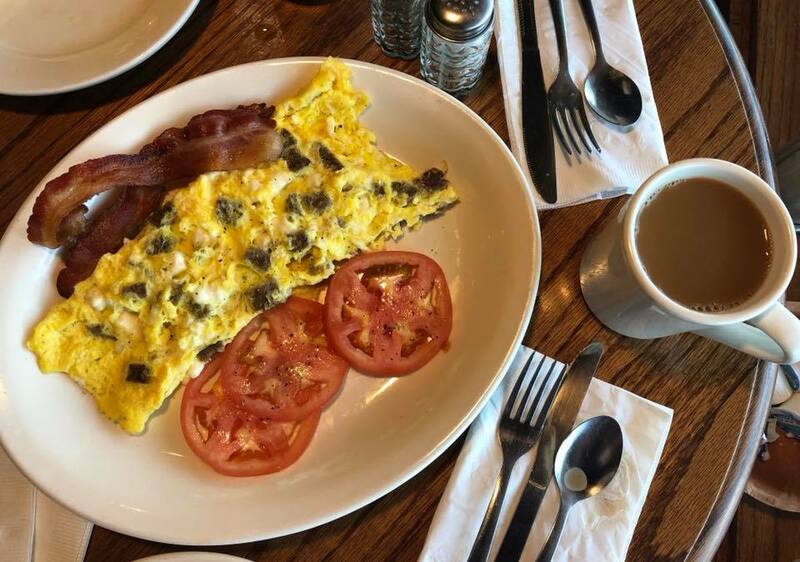 I passed on the typical sides that come with the omelettes and went with tomato slices and a side of bacon. One of my favorite qualities that I like about this restaurant is their commitment in supporting the local farmers and growers. 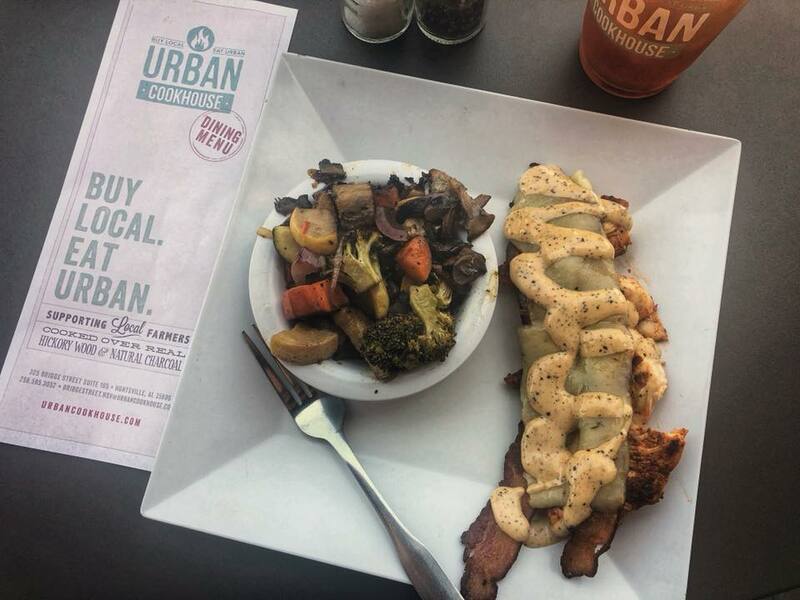 Their saying is, “Buy Local, Eat Urban” Urban Cookhouse is very accommodating to dietary needs. I often order their sandwiches without bread and it’s never a problem. As for sides, they have the BEST roasted vegetables I’ve ever tasted. I typically order the White BBQ sandwich without bread; I fork and knife this bad boy. It is grilled chicken that’s really moist and smoky, white BBQ sauce, and some of the best bacon I’ve ever had, all covered with pepper jack cheese. While you’re here, get a tub of their chicken salad to go. Makes for an easy lunch with vegetables and is fantastic! Low Carb and Keto Peeps: You don’t have to be left out on pizza night anymore! Uncle Maddio’s surprised me at how accommodating they are for low carb diets. I always feel so welcomed. Uncle Maddio’s will make any pizza into a crust less pizza. They will bake all the toppings you want or you have the option of choosing from the pre designed pizzas. You get the entire pizza flavor and no guilt. 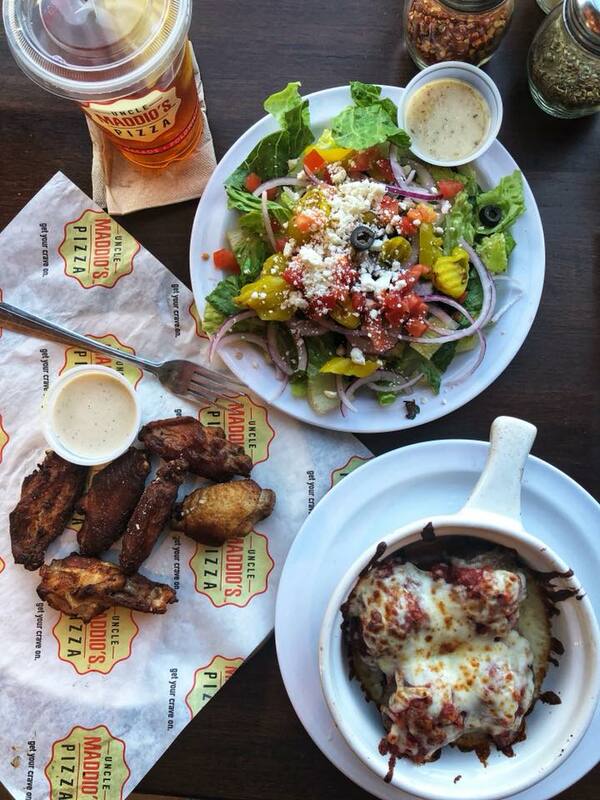 This visit, I opted for the meatballs, a side Greek salad (which is gigantic) and wings because they aren’t covered in heavy breading. Meet Renatta Keith! After failing with many weight loss gimmicks and being overweight most of her life, a ketogenic diet was transformational for Renatta. When she lost 150 pounds she found her passion to share her journey, encourage others, and share tips and recipes. Renatta lives in Huntsville, AL, with her 15 year old daughter, Isabella. She enjoys music from Bluegrass to Hip-Hop, college football, and fashion. Follow her journey on her website at www.renattarising.com. 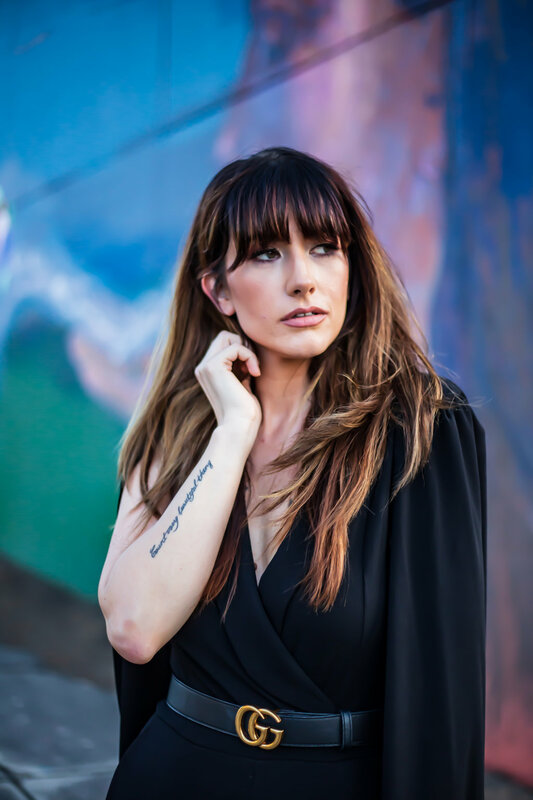 Find her online at Facebook and Instagram!